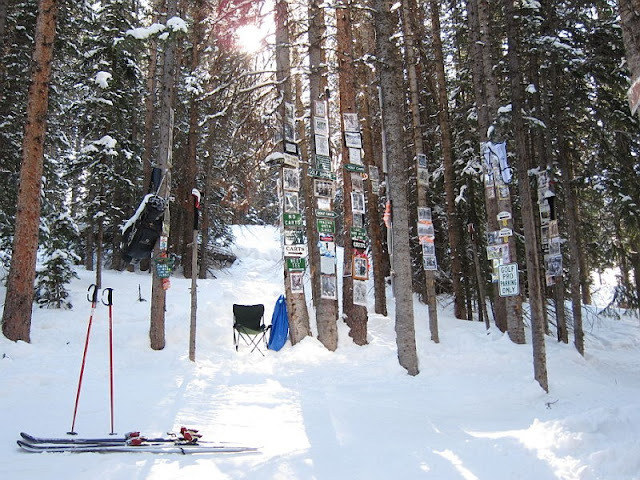 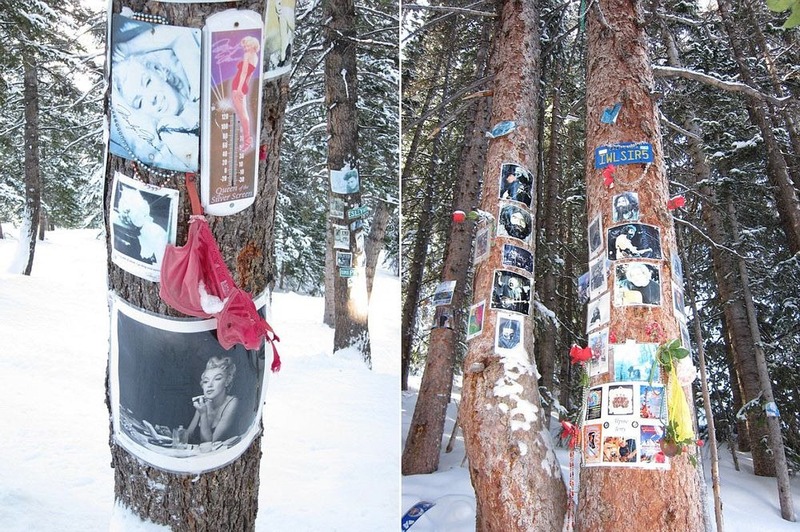 Tucked in the woods surrounding the many ski areas around Aspen, in the US state of Colorado, are countless shrines and memorials. 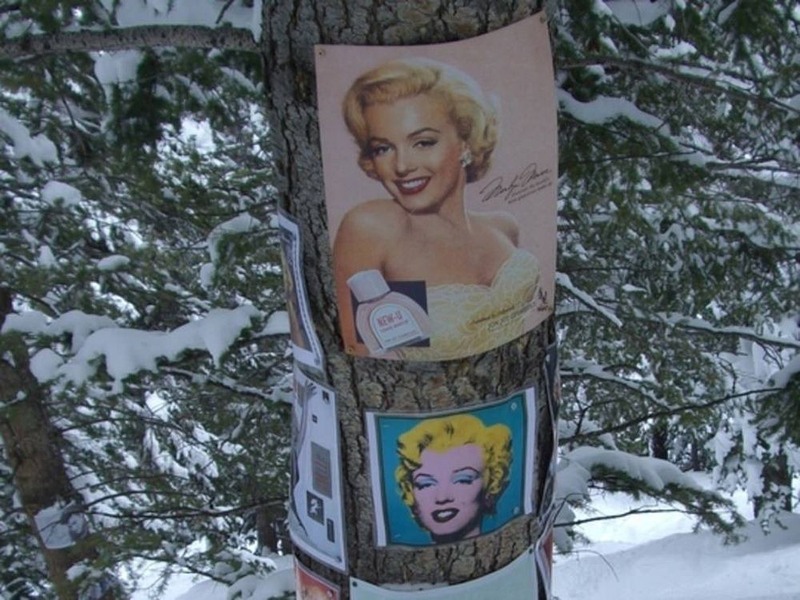 Hidden among the trees and other secret spots, these shrines were put up in honor of all kinds of different things ranging from people, places, things and events. There are shrines to celebrities, actors, musician, as well as shrines to local people; shrines to cartoon characters and movies; shrines to pets and toys; shrines to different sports or stadiums; shrines to beer; shrines to 9/11; and shrines to miscellaneous other things. 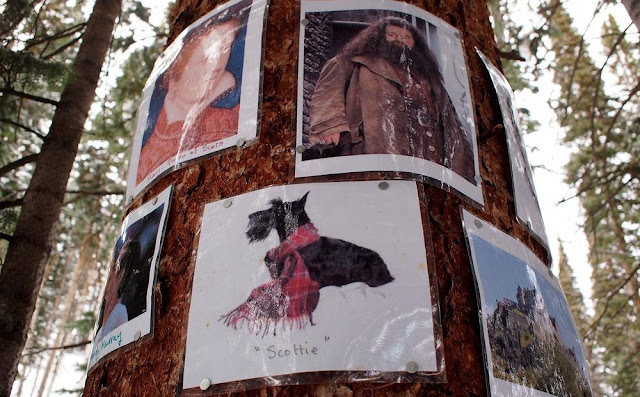 Most shrines consist of a few laminated photos, or license plates, or brass memorial plaques, along with beads, wind chimes, sculptures and other memorabilia attached to tree trunks. Others are more elaborate and have log benches on which devotees can rest. 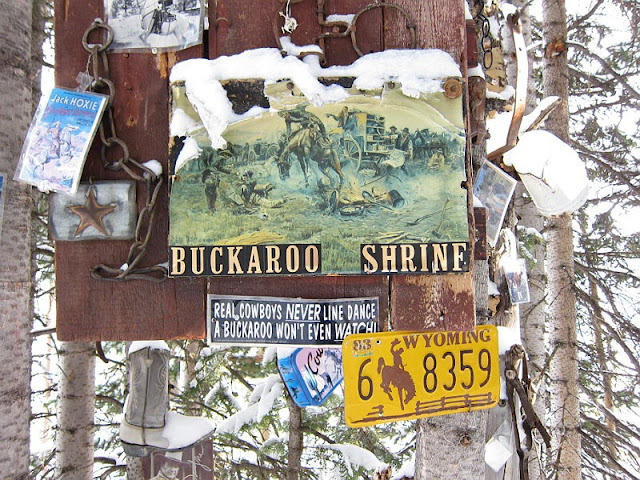 Some shrines even have small cabins built with all sorts of secrets stacked inside. 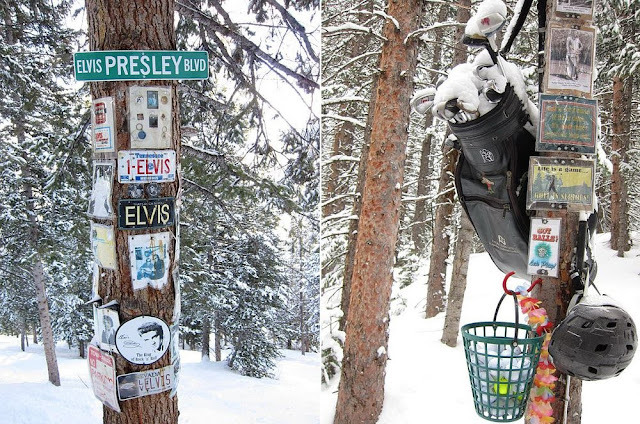 2 responses to "The Shrines of Aspen Mountain "
berikan 4 angka 2517 alhamdulillah ternyata itu benar2 tembus AKI.